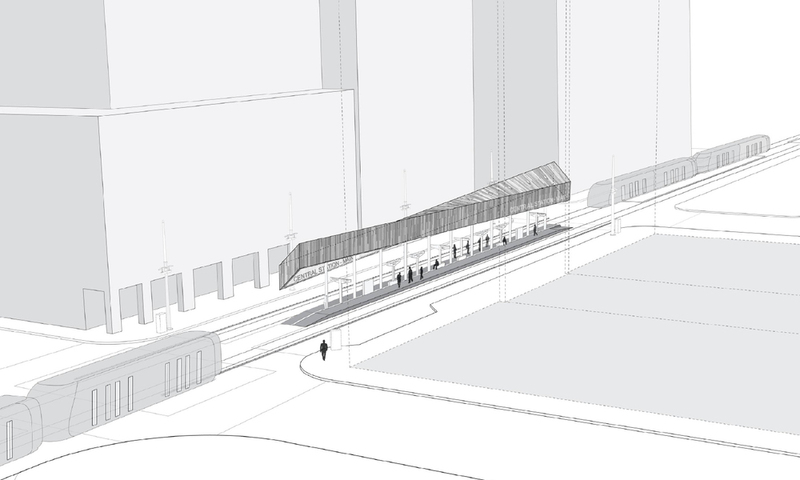 The project responds to the principal challenge of the brief: to transform a platform limited to the footprint of a median strip into an iconic central station, with sufficient spatial presence to galvanize the site and flows of people in and out of the station. The idiosyncratic proportions of the site platform are taken as the point of departure for the project. 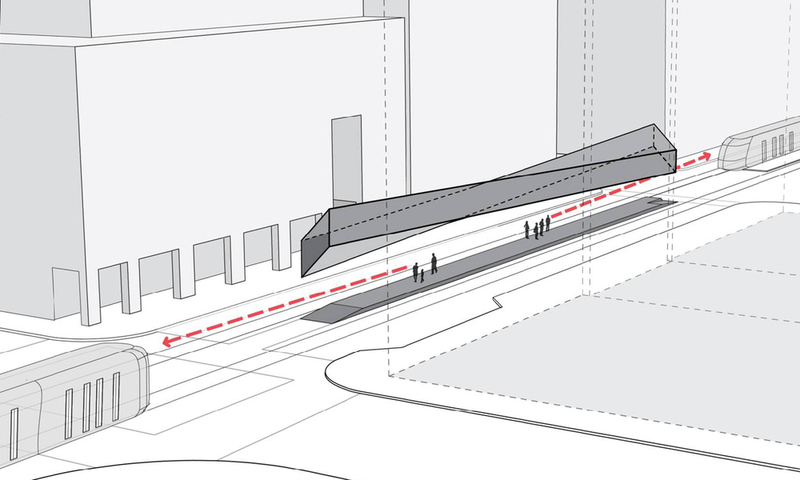 This proposal develops a volume of space floating immediately above the platform, forming a protective and legible umbrella. The volume is lifted up in two corners. This opens up the space toward the direction of the oncoming trains, making physical the act of anticipating and waiting for the trains. The torqued corners on the ends of the volume reveal station identification on both the inside and outside, serving as way-finding within the transfer zone to the station. The signage, benches, and tickets are arranged down the center of the platform connecting to a single stainless steel ribbon that marks the difference between the two directions served by the platform.